Umbrella Insurance with JK South Insurance Inc. | JK South Insurance Inc. Umbrella Insurance with JK South Insurance Inc.
JK South Insurance Inc. offers umbrella insurance as an extra layer of insurance protection for mishaps and incidents involving your assets that exceed your policy limits. The coverage extends protection to active policies which can include Florida homes, condos, rentals, boats, businesses, and autos. An active policy must be in place before you can obtain coverage. An umbrella policy helps to prevent you from paying out of pocket when an incident occurs that well exceeds what your typical policy can cover. If you find yourself in a situation where you are at a total loss for your business or home or have medical bills from an accident that included multiple people, this type of coverage can ensure that you are not in a financial bind. There are numerous other features that an umbrella policy can protect you from and it is beneficial for business owners and others to look into these policies to make sure that their well-being can be maintained. 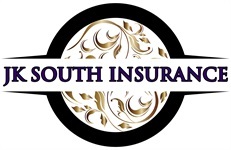 If you are looking to safeguard your self from the unimaginable, reach out to JK South Insurance Inc. in Florida. Our agents can work with you to explain umbrella policy and help you find the much-needed protection that you may need if a significant event were to happen. Call or visit our offices to get a quote and speak with an agent about how to get started.